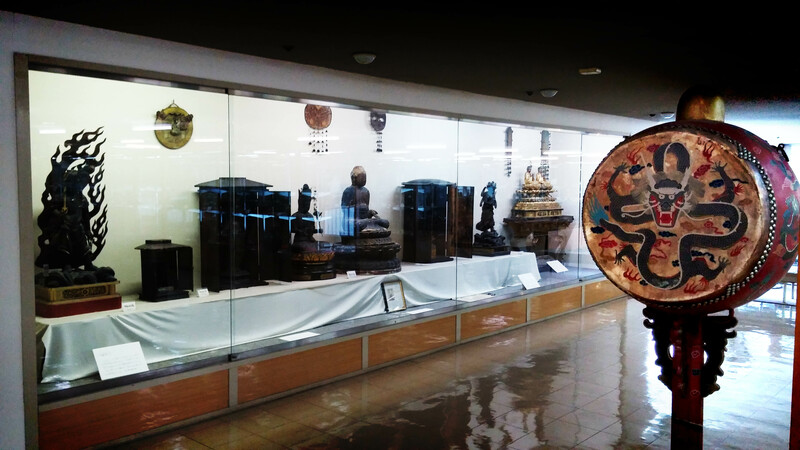 [2nd Floor, Eastside] Regular Exhibition of Buddhist Art Objects from Japan and the Rest of the World. 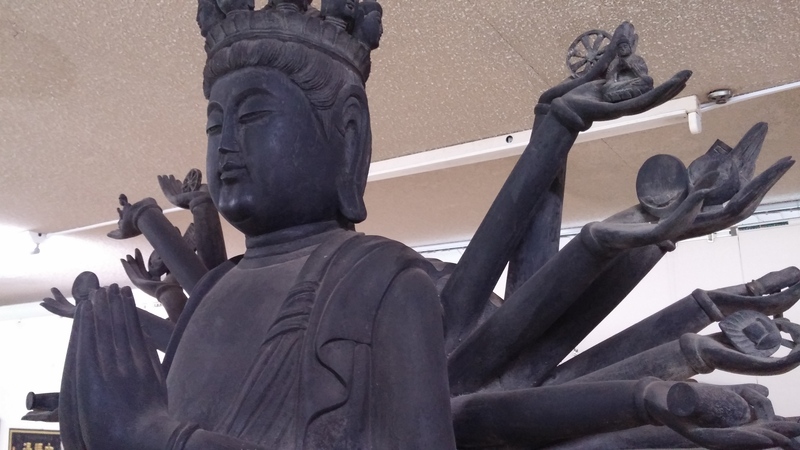 The item of the right hand photograph is a Statue of the Buddha (Shakyamuni Tathagata), the founder of Buddhism. 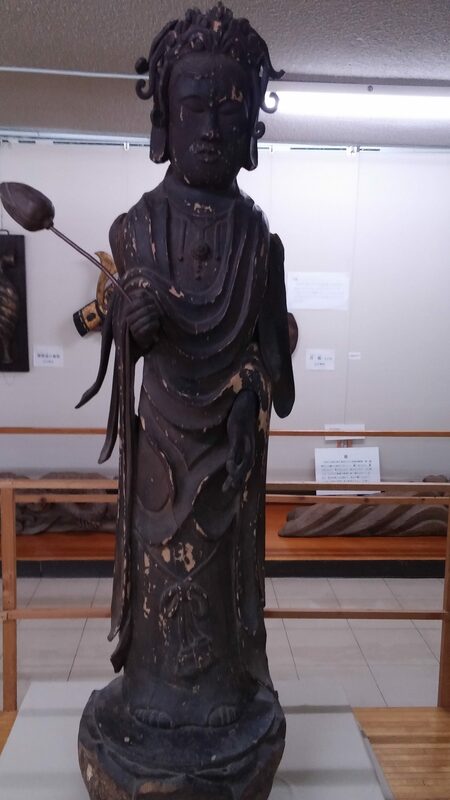 The statue is alleged to have belonged to Myohoji Temple in Shimane Prefecture, during the mid-Edo Period. 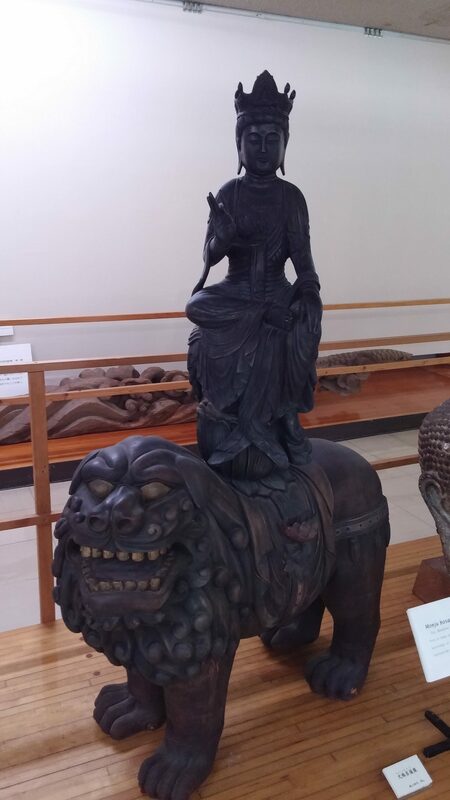 Meanwhile, the item in the left hand photograph is a Statue of the Acala, who defeats evil by the order of the Buddha. 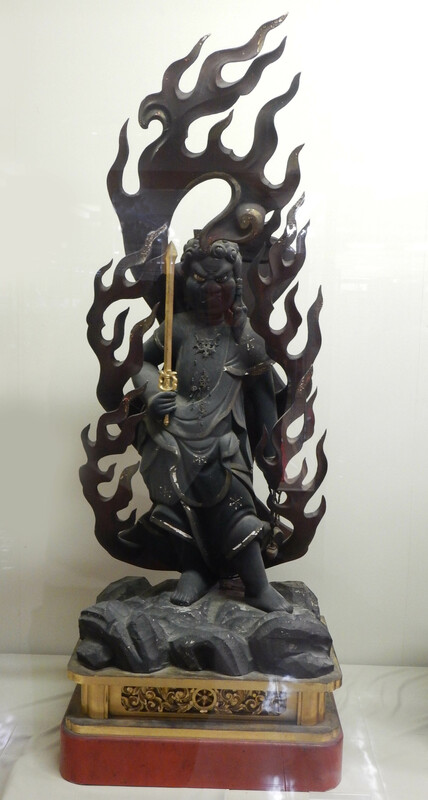 The statue is alleged to have been created in the Kamakura Period. 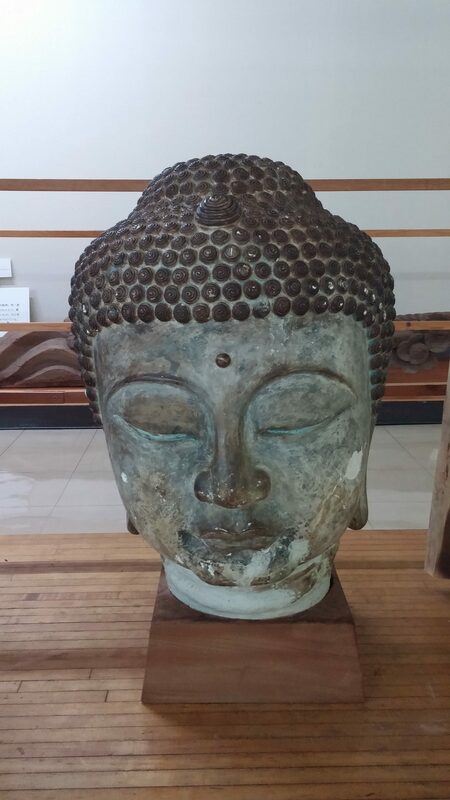 Founded by the Buddha (Shakyamuni or Gautama Siddhartha) in India, Buddhism is intended to allow the adherent to realize deliverance from mental difficulties and achieve spiritual enlightenment. 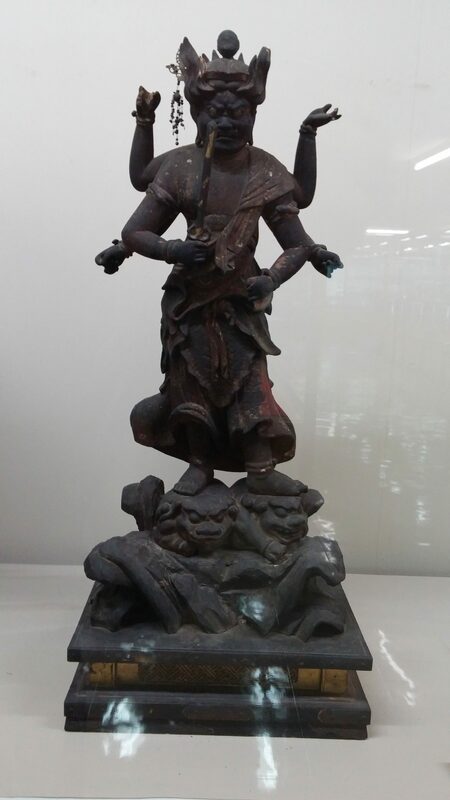 The religion is still followed extensively, mainly in East Asia. 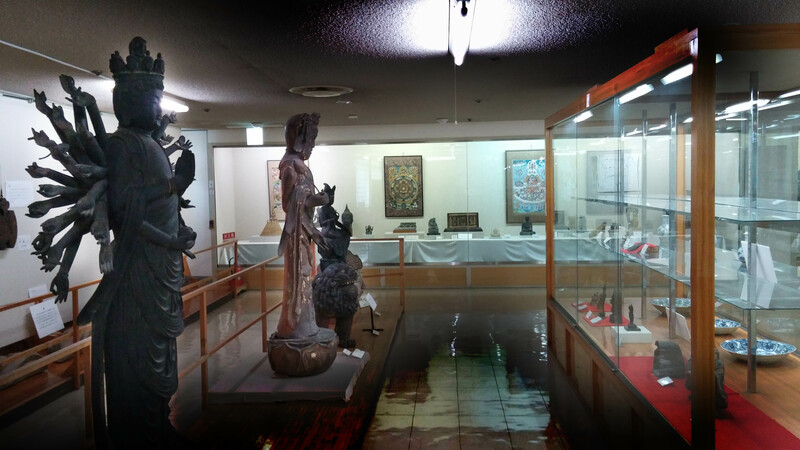 Brought to Japan via the Korean Peninsula in around the sixth century, Buddhism was merged with Shinto, mountain worship and other beliefs that had been established in Japan since ancient times, leading Buddhism to develop along a unique path. 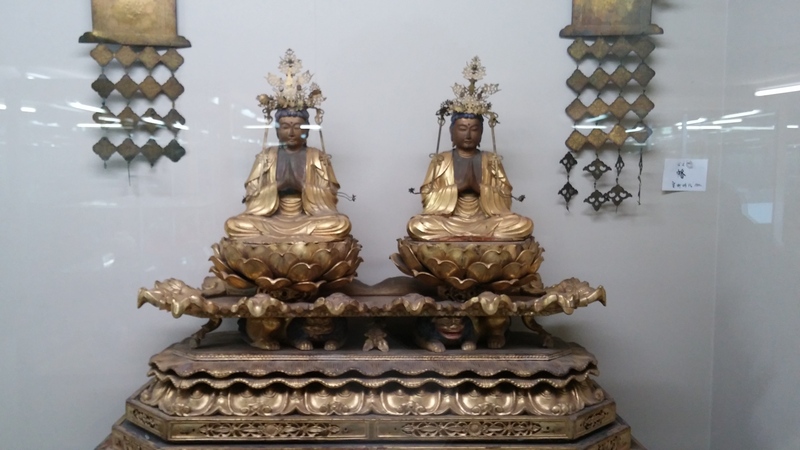 We exhibit various antique art articles connected to Buddhism, ranging from Buddhist statues from the Kamakura Period to antiques introduced from the Silk Road together with Buddhism.